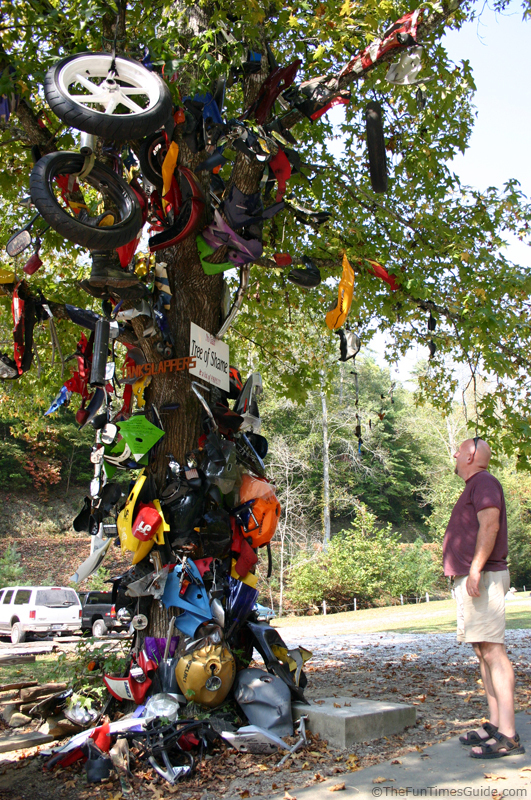 I wrote awhile ago about that amazing stretch of roadway called Tail of the Dragon. 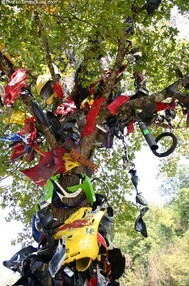 The Dragon’s Tail has 318 curves in just 11 miles, so it’s no surprise that there are some tragedies and mishaps along the way. 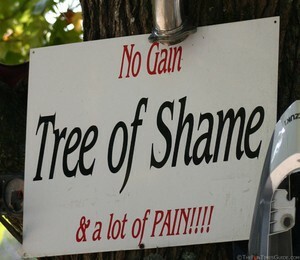 Many of them are memorialized on the “Tree of Shame”. Jim and I took the following photos the first time we rode the Tail of the Dragon. 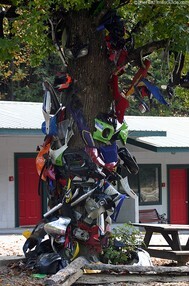 We stopped at Deal’s Gap Motorcycle Resort, which is the home of the Tree of Shame. 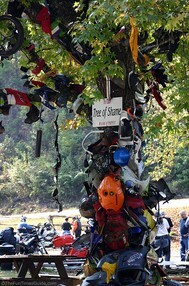 More about the Tree of Shame at Deal’s Gap. UPDATE: We have since purchased a Harley-Davidson motorcycle (actually, we started with a Road King Classic and recently upgraded to a Road Glide Ultra) and I can’t begin to count the number of times we have slayed the Dragon on our motorcycles! We still have our Jeep too. Actually, we acquired another one of those as well (a 2014 Jeep Grand Cherokee Overland) in addition to our 2004 Jeep Wrangler Unlimited.